Bike to the Sea Day Photos 2018 – Bike to the Sea, Inc.
Bike to the Sea, Inc.
Building a car-free path to the beaches in Revere, Lynn, and Nahant, Mass. Bike to the Sea has been working since 1993 to create the Northern Strand Community Trail: a trail free of cars from Everett, Mass. to the beaches in Lynn and Nahant. 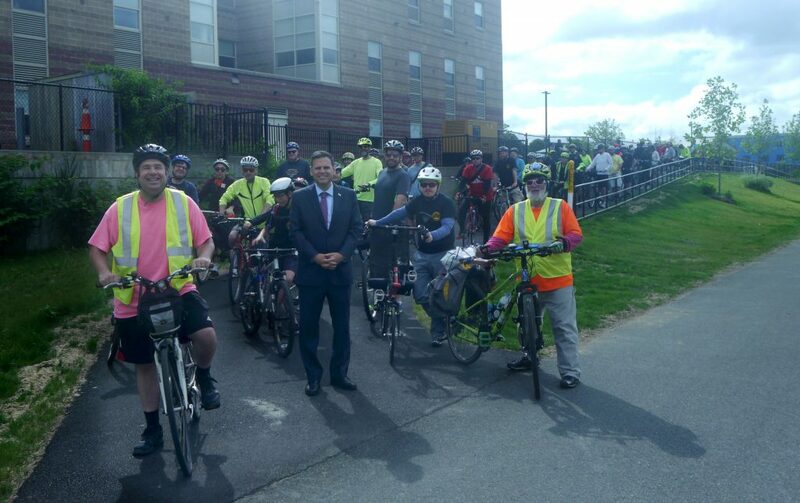 That dream is now being realized as the trail is built through Everett, Malden, Revere, and Saugus and will soon be completed in Lynn. Cyclists pose for a photo at Nahant Beach. 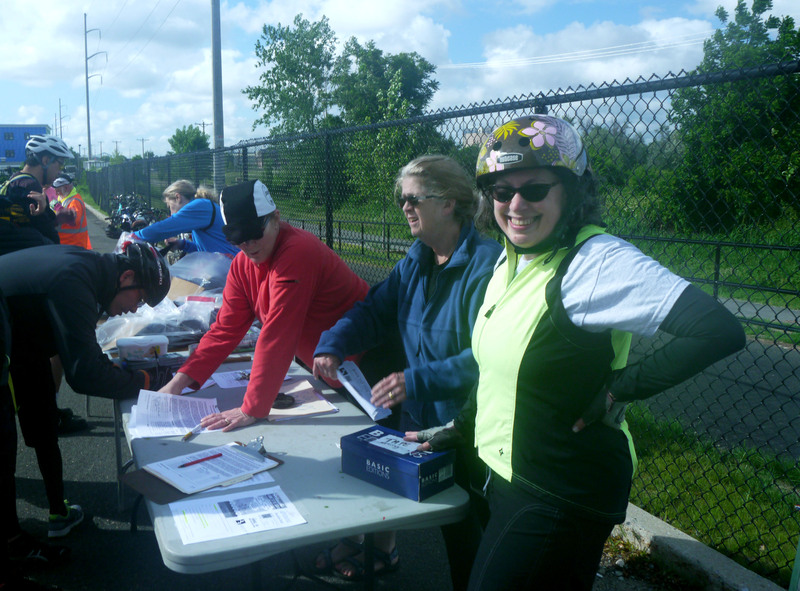 Naomi Brave helped out at the registration table before the ride. 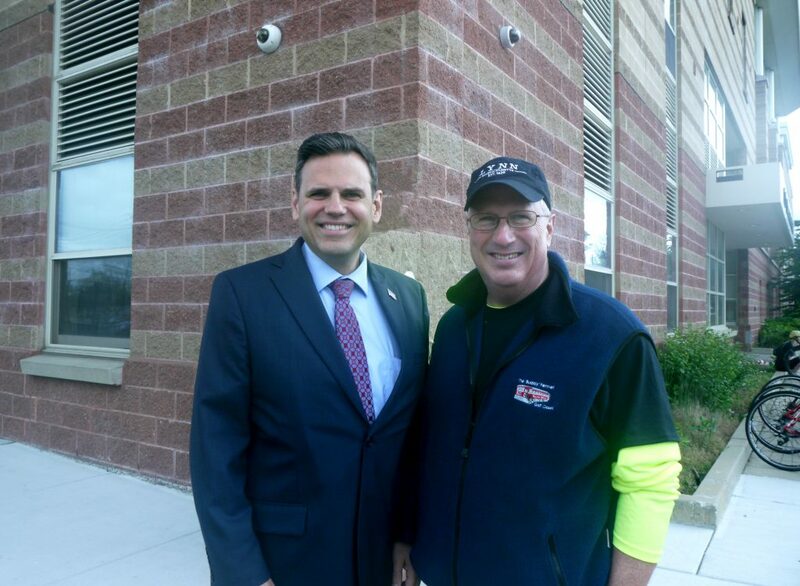 Malden Mayor Gary Christenson (left), who every year greets cyclists at the start of the ride in Everett, this year greeted Lynn Mayor Thomas McGee. 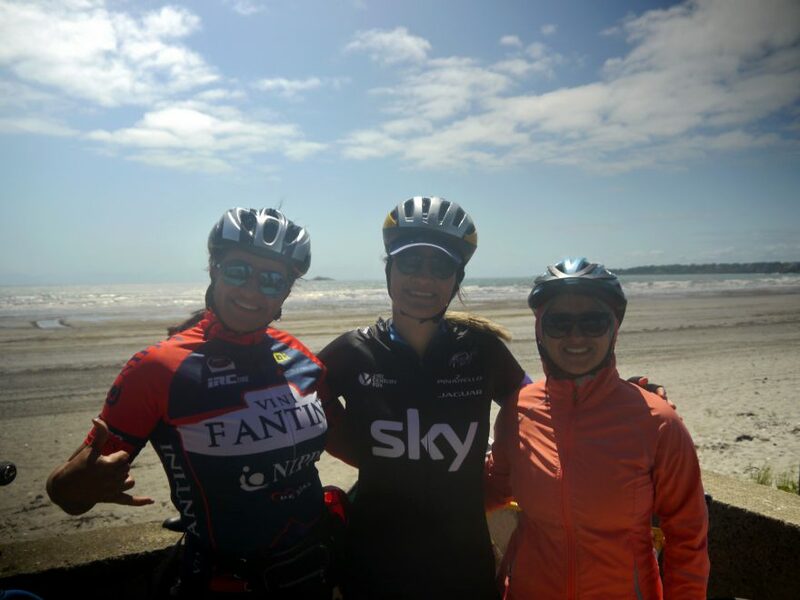 Friends (from left) Rosangela Santos, of Revere; Elisandela Oliveira, of Revere; and Leticia Prado, of Malden, rode their bikes from Everett to Nahant Beach. 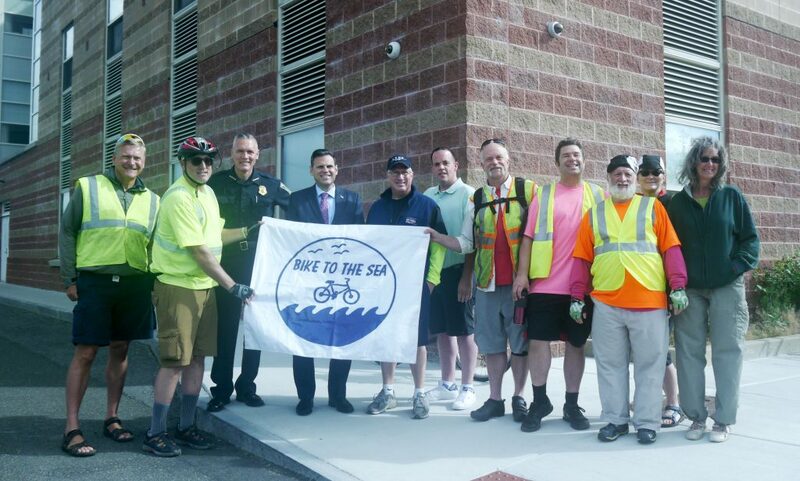 Bike to the Sea board members pose with Malden Mayor Gary Christenson and Lynn Mayor Thomas McGee before the ride in Everett. Riders at the start of the ride in Everett. Membership Levels: Individual: $25; Family: $50; Supporter: $75. Design work on the trail, including building out the last leg through Lynn, is underway thanks to the state's $1.5 million award. Read more here. For a little more money you, your business, or your organization can become a Bike to the Sea sponsor and be listed on our sponsorship page. Find out more about our sponsorship opportunities. Shop on Amazon using this link and the company will donate .5 percent of the purchase price to Bike to the Sea. For more information check out this FAQ page. And don't forget to share this link with family and friends. Download a map of the trail (pdf), along with this new brochure. Download the Summer, 2017 edition of the Spokes newsletter. Take a look at the work Bike to the Sea did in 2018. The Northern Strand Community Trail runs along the former route of the Saugus Branch Railroad, which operated passenger service from 1853 to 1958.